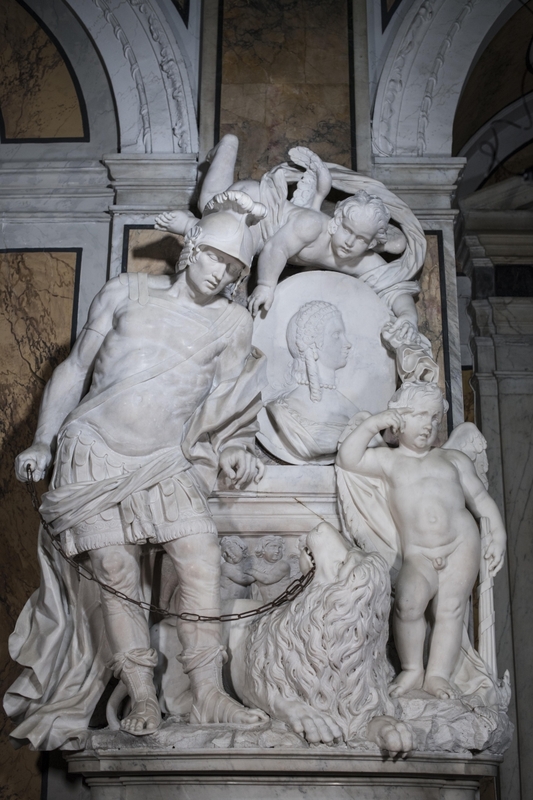 This monument commemorates Geronima Loffredo, paternal grandmother of Raimondo di Sangro. 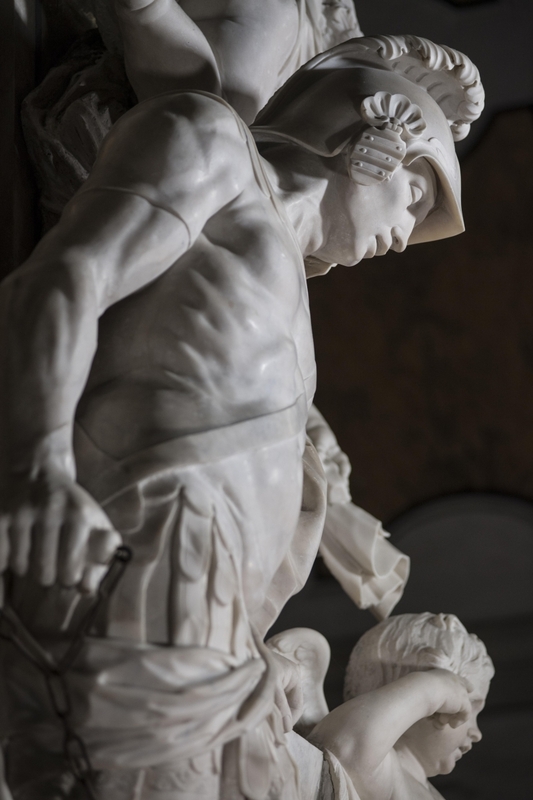 Self-control is a statue designed by Queirolo but which he could not make, because his relationship with the Prince of Sansevero turned sour: in fact in 1767, Francesco Celebrano signed to the effect that he was sculptor and not inventor. 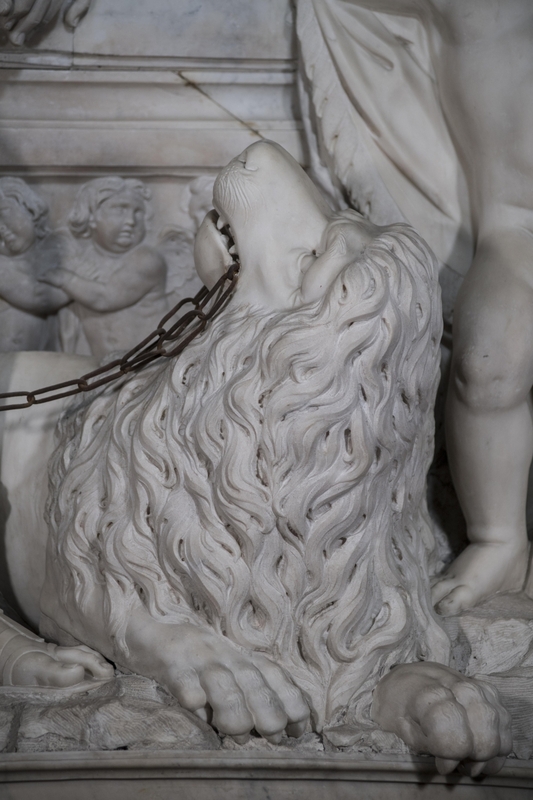 The symbol of the strength of character of the deceased, “never defeated by hostile destiny nor too exalted by fortune”, is this Roman soldier with a tame lion on a chain, almost hypnotised by the man’s gaze: intellect and will thus prevail over instinct, savage energy and the vanity of the passions. 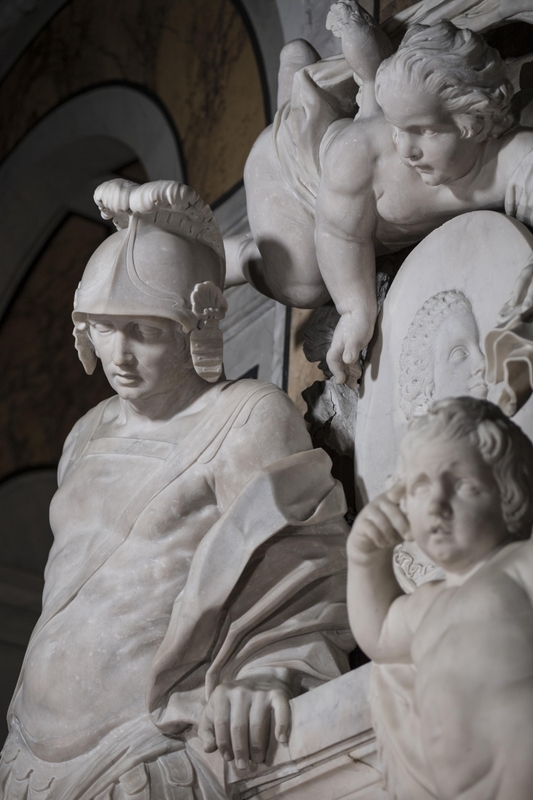 The purely artistic result of this work is not to a very high level, so much so that in his will Raimondo di Sangro named it as one of the few works in the Chapel that he would like to see redone by a better artist. In Self-control, Celebrano shows his tendency to decorativism, interpreting Queirolo’s clay model without pathos. 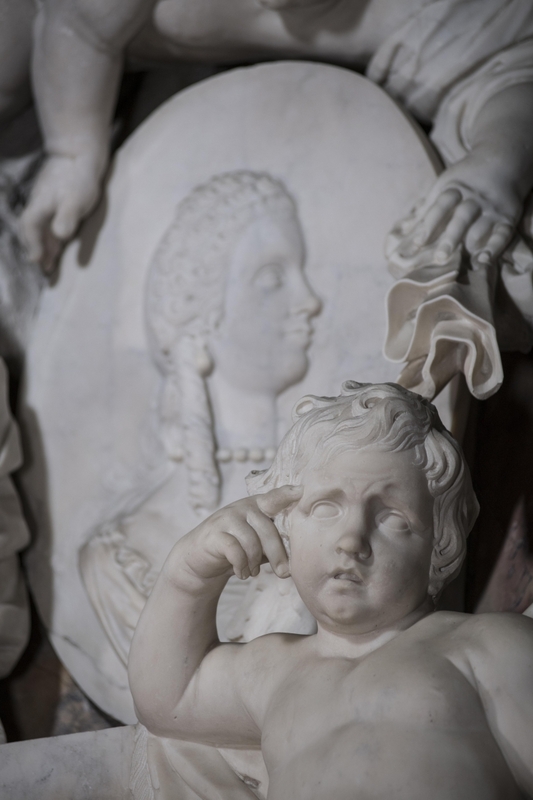 Two putti and a medallion with the profile of Geronima Loffredo complete the work. The memorial plaque dates from 1759. 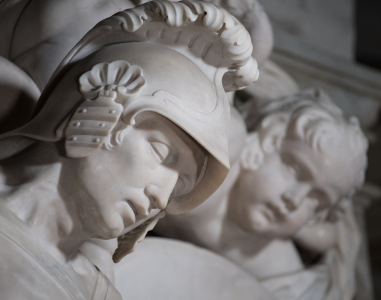 The subject of control over the passions is a classical theme of the eighteenth-century Freemasonry, as well as an inescapable stage in any initiation process. In the iconography of the alchemists, the lion is sometimes symbol of primal matter, and sometimes – as with the “red” lion – the realisation of the philosopher’s stone.